A large standing stone near Llanfechell fell over in November 2009. Its pit was subsequently excavated in January 2010 and a report produced (GAT Report no. 932). 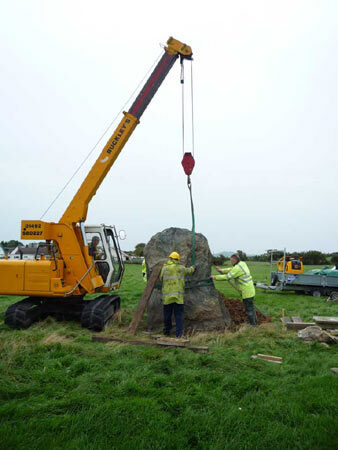 The stone was re-erected successfully in September 2010. The work was carried out by contractors together with the Cadwraeth team and was monitored by a representative from GAT. 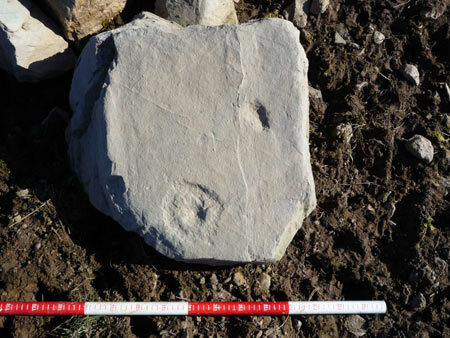 One of the large packing stones was found to have a cup and ring mark and with the agreement of the landowner Prof. Robin Grove-White, this stone has now been deposited with the Oriel Ynys Môn. A publication report on the excavation of the standing stone pit will be produced when the environmental analysis is completed.